Take Professional Quality Photos in Your Home or Shop. Ideal for miniatures, collectibles, insurance records and web auctions! 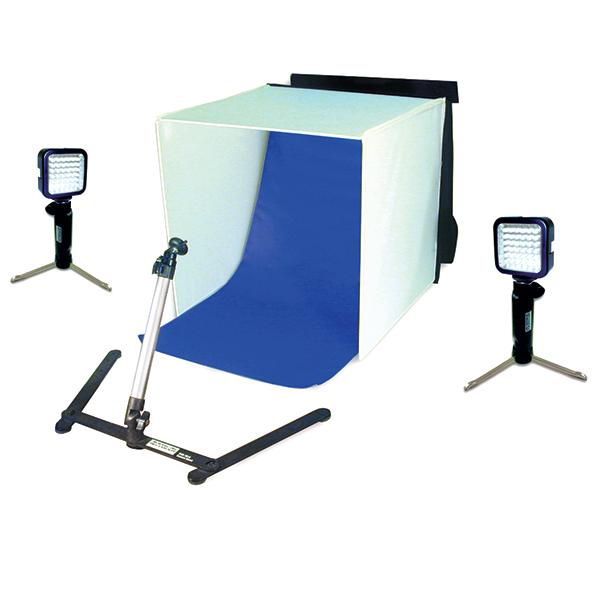 Photo Studio in a Box is a lightweight, portable stage that unfolds easily to set up on desktop, workbench or dining table. Use it with your digital or film camera to produce well-lighted images with balanced color and remarkable definition.